Two large basins of unequal size define the MR Direct 3120R-14 ensemble. 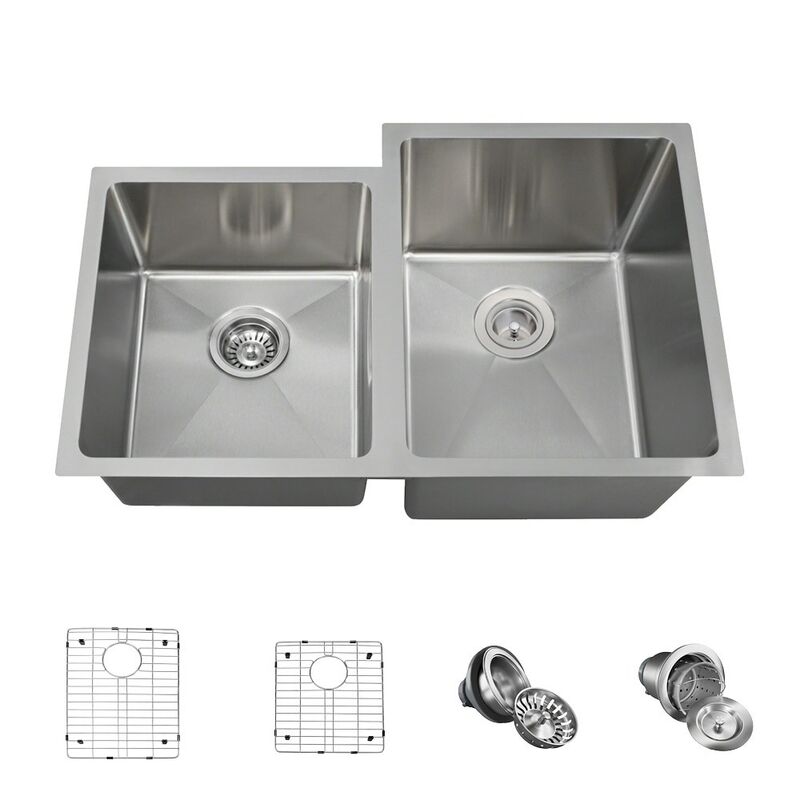 This functional and attractive, stainless steel sink is one of the three-quarter inch corner radius designs, which provide the maximum amount of interior sink space. With the bowls aligned upfront, the faucet can be tucked behind the smaller bowl on the left. The luster of brushed 304-grade stainless steel offers beauty, and the 14-gauge thickness provides durability. Sound-dampening pads reduce noise, insulation prevents condensation, and offset drains create extra upfront room under the countertop. This ensemble includes a custom-fitted grid for each bowl -- tailored to keep items off of the basin bottom, and both a standard and basket strainer to catch scrap materials.